A loan of $2,625 helped to pay her child's expensive school fees and support her husband financially. 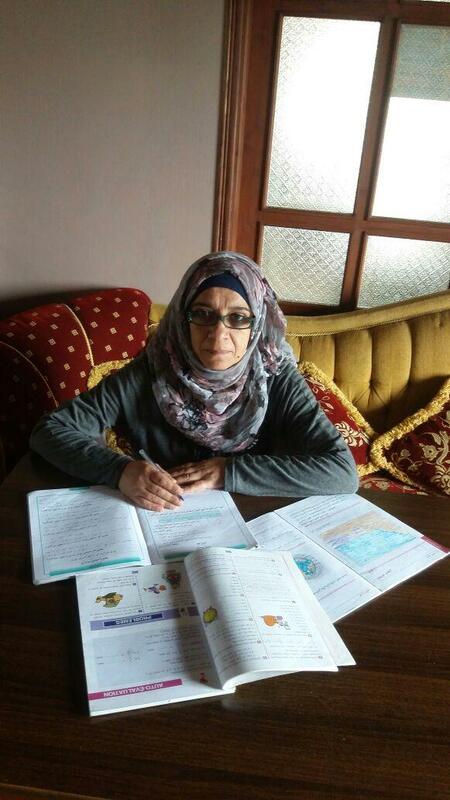 Fatimah is a 46-year-old Lebanese married woman and mother of three children, one of whom is still attending school. She collaborates with her husband to ensure her kids a good lifestyle and to pay their life expenses. She has been working as a private teacher since 2010 to offer her husband an additional financial support. She finished her pedagogical education at the local university and started her work. Fatimah loves her profession and always gives the best education she can. She arranged a special room in her house to receive students, and she visits them sometimes at their places. Recently the couple is facing some financial problems due to the bad situations in the country and the fact that they are a big family. Fatimah is requesting a loan from Kiva partner, Vitas s.a.l., to pay her child's expensive school fees and support her husband financially. She is awaiting your help. It helps students pay tuition and school expenses. This loan is part of Vitas' education program, designed to finance school expenses such as tuition, books, stationery, transportation and fees for students from low income families. Funds can be used for partial or complete payment of school expenses. By supporting this loan, you're enabling access to education for students with limited options. Due to political and social challenges in Lebanon, personally identifiable attributes entrepreneurs may have been altered to protect their privacy (i.e., blurring portions of the borrower's picture, not indicating a name and location, etc.). Vitas appreciates Kiva lenders' understanding of these challenges and encourages them to continue their support for Lebanon's borrowers. Vitas's partnership with Kiva has enabled it to offer loans to a more down-market subsection of the Lebanese population than it was traditionally serving. Vitas's Kiva loans have a faster turn-round time (from loan application to disbursal), and they are also offered at an APR that is between 1 and 3% lower than the other loans in its portfolio.